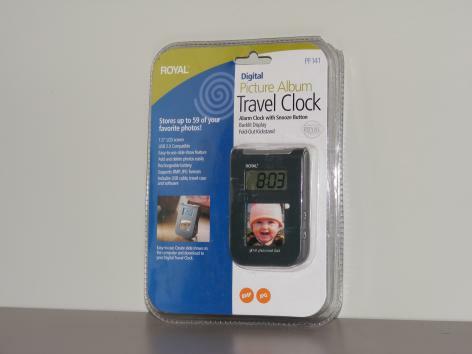 Purchase a Brand New Royal Digital Travel Clock & Photo Frame! With Free Shipping! 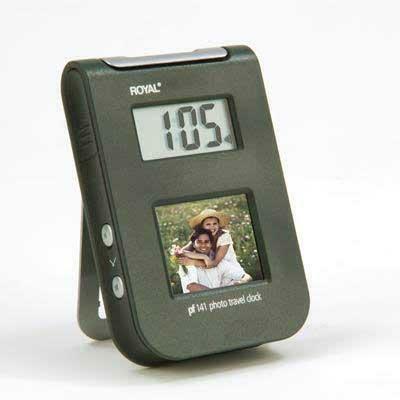 Purchase a Brand New Royal Digital Travel Clock & Photo Frame! Bring along up to 50 of your favorite photos to share and enjoy wherever you are. This travel clock features a backlit LCD display, an alarm and a snooze function. The 1.4" LCD screen displays your digital pictures in clear, full color.